Tom Sawyer is no more likely to paint fences in 2015 than he was in 1876. He is both cop and robber, but he really sees himself as a hero and a treasure hunter. Unfortunately, his wild schemes inevitably cause trouble for his ex-con best friend, Huckleberry Finn in Band of Robbers (trailer here), Aaron & Adam Nee’s modern day re-conception of Twain’s beloved stories, which opens today in New York. Finn never squealed on Sawyer when he went up the river, even though it was his friend’s fault. That allowed the gung-ho Sawyer to get a job as a patrolman, sort of like his detective half-brother, Sid. When Finn is paroled, he quickly learns Sawyer is still obsessed with the legendary Murrell’s gold. For some reason, Sawyer thinks Injun Joe has stashed the pirate treasure in a pawnshop, so he hatches a hair-brained armed robbery scheme to take it. Yes, he is still called Injun Joe, but the Anglo villain has a politically correct defense of his nickname at the ready. Inconveniently, Sawyer is assigned a new partner on the very day of the hold-up. Of course, that would be Judge Thatcher’s daughter, Becky. Sawyer takes an immediate shine to her, but she will complicate his plan to run interference for Finn and their accomplices. Finn was supposed to pick up a day laborer to be their getaway driver, but since their knucklehead friends over slept, he is forced to recruit the Widow Douglas’s illegal gardener, Jorge JIMinez. Band is just the sort of movie that wears down your resistance over time. In many ways, the Nee Brothers have quite cleverly modernized the grown-up (if not necessarily mature) Twain characters and the source material that made them famous. However, Tom Sawyer and Adam Nee (who plays him) try way, way, way too hard. Granted, Sawyer is supposed to be recklessly enthusiastic, but he often brings to mind “Kung Fu” Eliott “White Lightning” Scott, which is a profoundly unfortunate place to be. On the flipside, the reserved and somewhat embarrassed looking Kyle Gallner’s Finn serves as an accessible and identifiable audience surrogate. He and Nee are like oil and water, but they develop some pleasant bantering buddy chemistry. Hannibal Buress also gets off some of the films better lines as Sawyer and Huck’s dim-witted crony, Adam Rogers, while Stephen Lang adds some dependable villainous seasoning as Injun Joe. 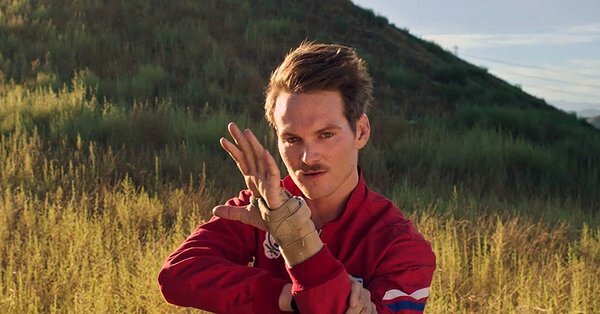 When Band of Robbers takes its Ritalin and gets serious about finding Murrell’s treasure, it actually starts to hit it is stride. There is just something nostalgically charming about treasure maps and mysterious keys. However, the film suffers from a surplus of quirkiness in the first two acts. It is almost too clever and too eager to please for its own good. 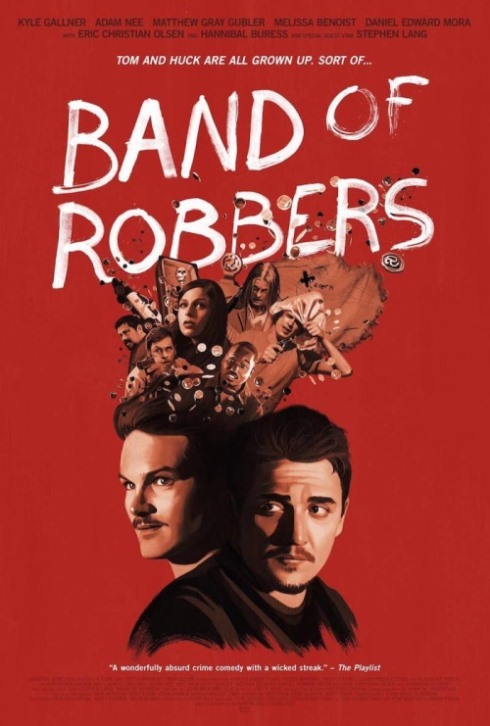 Okay for Twain diehards who prefer their films loud and desperately earnest, Band of Robbers opens today (1/15) in New York, at the AMC Empire.